I don’t usually read fic, and in fact, I’ve never written for this column before. I got burned one too many times by bad fic in my youth, and now I won’t touch a story unless someone has recced it to me. Well, boy am I glad that beanpots, an artist I follow on Tumblr, recommended the Yuri!!! On Ice fic The Rules for Lovers by ADreamingSongbird. 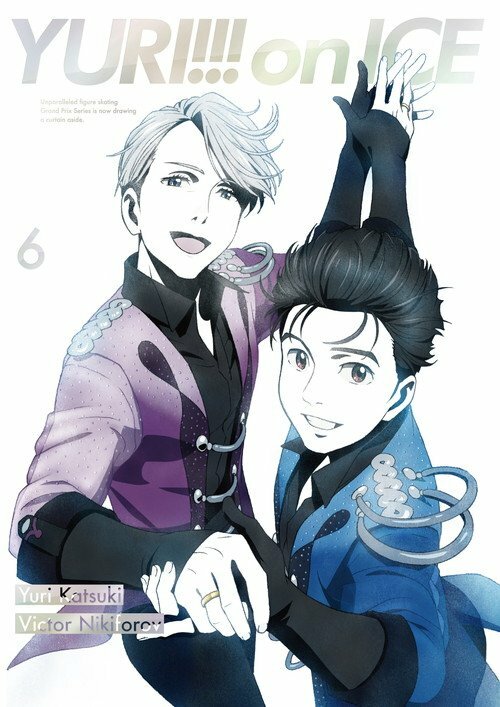 It’s an arranged marriage AU in which Viktor and Yuuri are princes of their respective countries. Also it’s in an alternate history version of our modern world. Also, there’s magic! There are a lot of things I could have done over the winter holidays, but instead of doing any of those things, I re-watched Yuri!!! on Ice and then started watching the dubbed version just to see if it was any good. (Verdict so far: not bad, but I still prefer the sub.) One thing that really struck me in these re-watches was Yuuri’s anxiety. On my first run-through, I thought that he just had performance anxiety—it wasn’t until I’d watched it again that I realized he actually had an anxiety disorder. 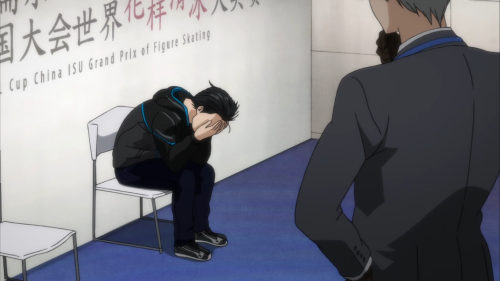 Yuuri describes himself as a dime-a-dozen skater despite making it to the Grand Prix Finals, he doesn’t understand how five time gold medallist Viktor Nikiforov could be interested in him despite his being able to skate Viktor’s free program flawlessly, and he can’t see that his friends and family support him and believe in him despite there being ample evidence of it. Yuri!!! 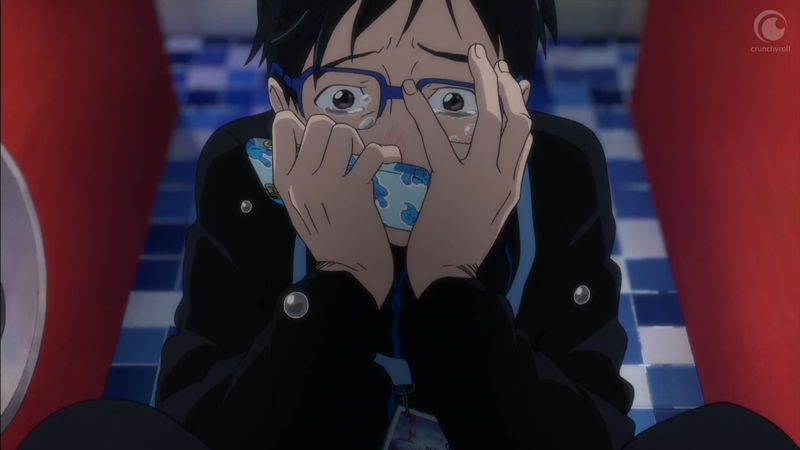 on Ice’s depiction of anxiety and mental illness was done just subtly enough to feel natural without beating the viewer over the head with Yuuri’s concerns. 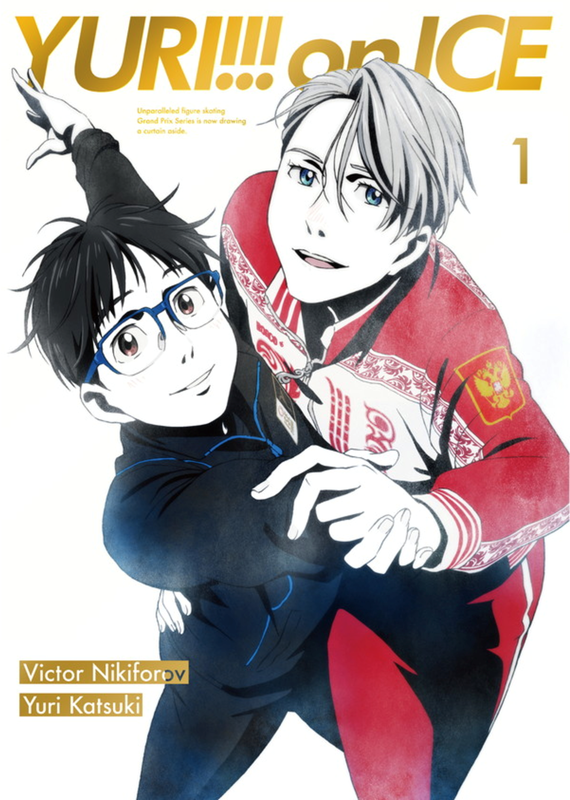 Most importantly, Viktor and Yuuri’s relationship showed something that’s rarely seen in a fictional romantic relationship: Yuuri’s anxiety doesn’t just up and disappear now that he has a significant other, and in fact, some of the things Viktor tries to help Yuuri end up not helping at all. Today’s fanfic expands on some of those themes in a sweet, yet realistic, story. Spoilers for all of Yuri!!! on Ice after the jump! Rin: All right, listen. It’s not that I was trying to avoid watching Yuri!!! On Ice, it’s just that I had things to do. And stuff. However, as an early Christmas present to myself—and at the behest of the increasingly sappy, romantic, gay gifs I was seeing on my Tumblr dash—I finally sat down and watched all ten of the currently aired episodes. Let me tell you: it’s going to be damned hard to write a review that’s not just me screaming in delight for however many paragraphs. Luckily enough, I have Lady Saika here with me to keep me in line. Maybe. Saika: I don’t know that I’ll be much help there. I binged the first several episodes of the series a few weeks ago, and after the pure and sweet and precious tenth episode (which just aired this week), we knew we couldn’t wait any longer to write about this wonderful series. And we’ll do our best to keep the shrill, excited shrieking to a minimum. Probably. Rin: No promises. I’ll tell you right now, this article is going to conclude just as it’s starting right now—with a sincere plea to sit down and watch this show. You will absolutely not regret it.